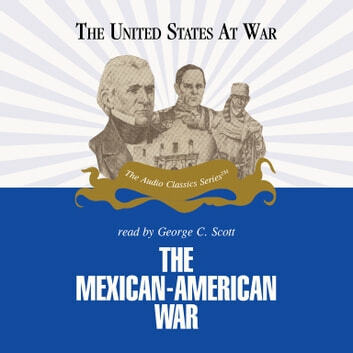 On May 13, 1846, the United States Congress declared war on Mexico. Although the Mexican-American War lasted only 18 months, its consequences were profound. Mexico lost nearly half of its territory to the United States: Texas, California, New Mexico, Arizona, Nevada, Utah, and Colorado. Some historians have described the conquest of Mexico City as America's first step toward empire. More ominously, this war first raised the issue of whether slavery should be permitted in the newly acquired territories-an issue that would help speed America toward the Civil War. The United States at War Series is a collection of audio presentations that review the political, economic, and social forces that have erupted in military conflict, and examine how the conflict resolved, or failed to resolve, the forces that caused it.